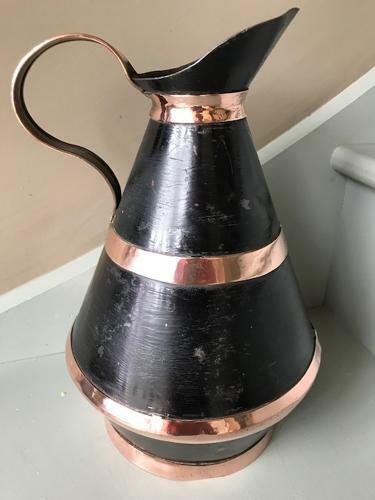 Antique tin Cream Jug with copper banding and copper handle. The tin has black paiont which I have left on. Makes a striking combination and nicely made c.1900. I have had one of these jugs before over the years.